The last week I downloaded the latest version of MakeHuman (1.0.2). MakeHuman is an open source tool which gives you the possibility to create humanoid 3D characters without sculpting or modelling. 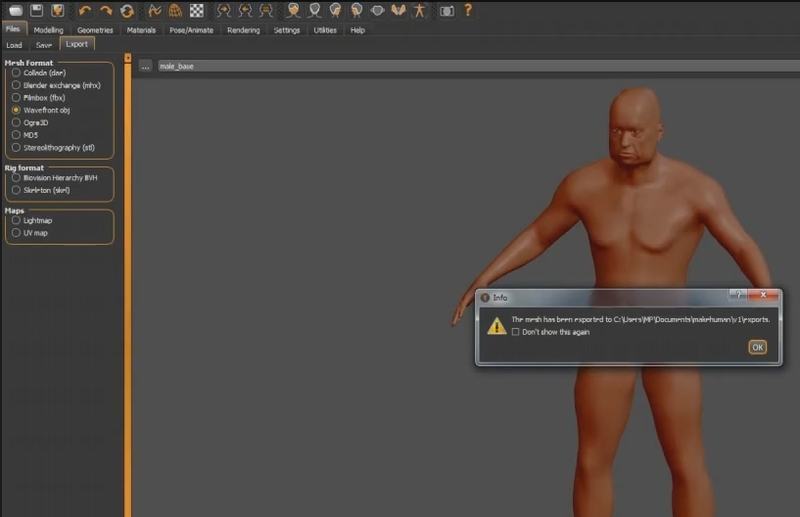 I created a youtube video in which you can follow me creating a male model with MakeHuman and exporting it for my workflow with ZBrush. 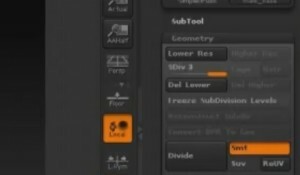 What I use MakeHuman for is creating basemeshes for ZBrush-sculpting. 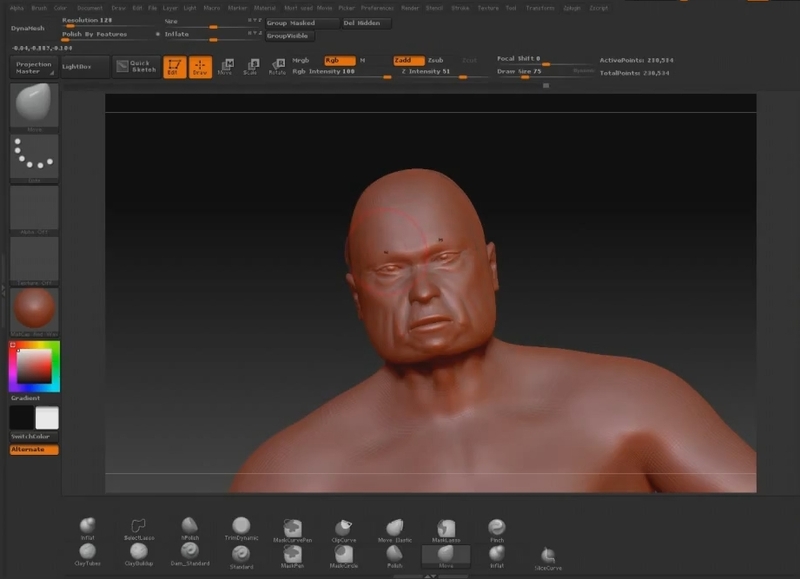 Of course you can create your own basemeshes in ZBrush, but when you use MakeHuman you can be sure that the proportions of the body are correct and you have the chance to add realistic features like muscles, a big belly or detailed hands and feet. Well, when I import the base mesh it has about 15.000 active points, which is a kind of mid-poly mesh. Now you can add details to the character like clothes, details in muscles or hair… whatever. When I am done with sculpting, my next step is to do polypainting like I did in this tutorial about polypaintng a cartoon character. 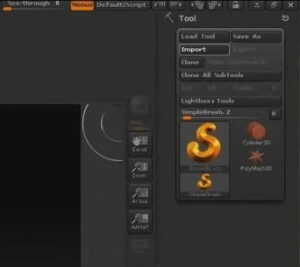 Then I export the model again as obj and do retopology in a tool like 3D-Coat which works great for retopo. 1. Exporting the characters from MakeHuman with polypaint would be great. …but this will be a topic of a tutorial to follow.